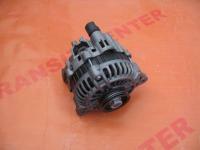 Speed rotary heater fan switch for Ford Transit 1991 – 2000. Three-stage speed rotary heater fan. Motorcraft original product. Fan switch fits the MK4 and MK5 model and is a product completely new. Motorcar ben supplying original parts to the Ford Transit and Transit Center as the main supplier of auto parts on the market, works with Motorcraft.